Talk about a nautical bunk room fit for the stars. This fabulous room was designed by Naomi Leff for Steven Speilberg in his East Hampton home. 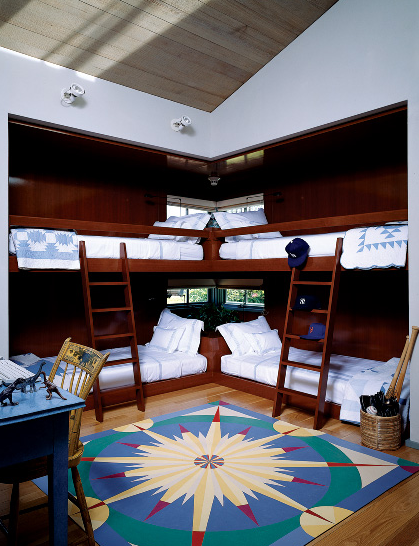 I'm nuts about the colors in that compass rug and the rich stain in the bunks.